Tweek: We have Night with techno and house stuff, and Day, composed of several ambient and downtempo tracks. What is exactly the concept of the double-CD release? Except the problem of the time, why didn’t you mix these different kind of tracks in one CD? 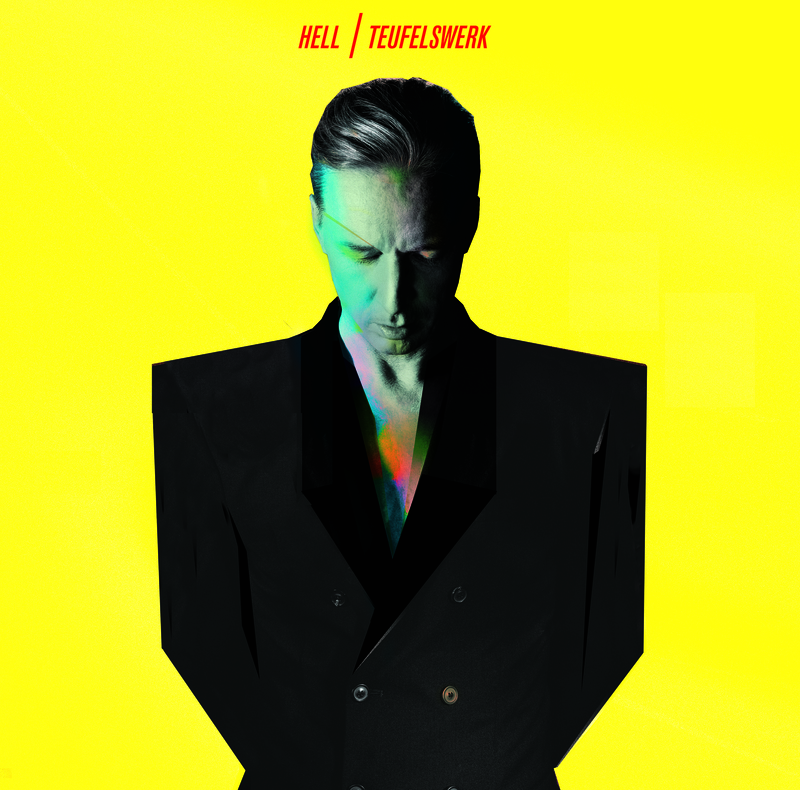 DJ Hell: Teufelswerk is a double album, split into two concepts, Day and Night. I wanted to show what I could do, and I decided to make a double album because I had a lot of different songs which split pretty evenly into something like lightness and darkness. The Day side varies from very ambient to electronic avant-garde, themes I wanted to explore separately on a separate record from the techno tracks I was also working on. The albums are strong on their own, but only together do they paint the whole portrait of who I am today, as an artist. Tweek: Last year you released Ellboys, a great new wave and italo-disco DJ-set. Can we feel these influences in your new album? DJ Hell: No, not really, it’s in no way related to the Ellboys compilation, although it’s one of my favorite projects besides my album that I’ve worked on. This album explores classic electronica sounds and kosmische music. Tweek: Were the collaborations with Bryan Ferry and P.Diddy premeditated? How did you meet them? DJ Hell: I am not a good singer so also on this side I used the best I can get and Brian Ferry is a master in what he is doing and one of the greatest singer and songwritter of all time. Puffy is a genius and to watch him is the best learning process for people like me. I think Puffy become the new Andy Warhol and now he’s talking about after hours clubs and music that is played out in techno clubs all around the world, so people will listen to what he says and at the end of the day I could not get happier to work with people like this on my new album. I worked with Diddy before on some releases with Gigolo, he’s someone I really admire and respect and the opportunity came up to work with him again on the album and it felt right. Working with Diddy has always been an interesting undertaking because he’s very professional, he’s living in a world which runs like a well oiled machine and is very focused, a sharp business guy. Tweek: How did you choose your colleague for the mix and the production? (Christian Prommer, Anthony Rother, Peter Kruder). They are also « old » warriors of electronic music. If you had to bring a young talent for the production, which one would you choose? DJ Hell: Me and Peter are old friends and we know each other for so many years so it was clear to end up in the studio one day and getting some help from Christian Prommer and Roberto DI Gioia for playing the instruments and doing the string arrangements. We were acting like a band inside the studio and the chemical reaction went into something magical when you listen to a song like The Angst. The young talent on this album would be a producer named &Me. He’s one half of Fetisch&Me, artists on Gigolo Records. I really enjoy working with him a lot. Tweek: What about a live tour following the album release? DJ Hell: I already did this with my NY Muscle album, I can’t see this happening again anytime soon. I try not to repeat myself and keep each album presentation as fresh as possible. Marco Gayo: A question you should have heard thousand times… Where does your name come from? Are you a Satanist? 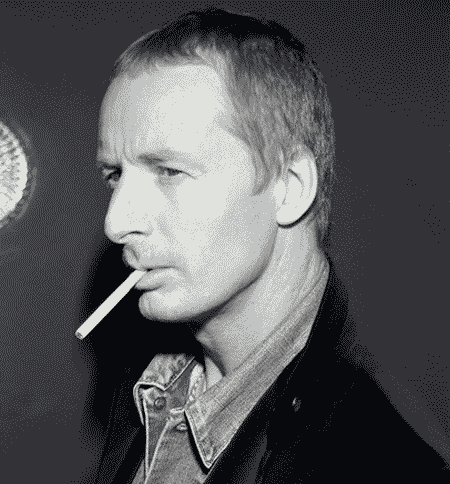 DJ Hell: It’s really simple… my name is Helmut. Hell for short. Hell by name, Hell by nature. 2nis: As a pioneer, what is your position about the evolution of electronic music? Do you think we are trying to come back to real techno sounds, escaping from the minimal scene? DJ Hell: Over the years, a lot of techno became more sophisticated I would say. Less raw. There’s all of this fragmenting into smaller genres that’s turned the big movement that used to be called techno into lots of smaller cliques. It used to be techno and house more or less. These days there’s Ghettotech, Microhouse, Tech house, Tech trance, Techstep… I could go on for days. In some ways it’s cool because the music is much more expressive and diverse, but in terms of one big movement, techno feels much less like a family than it used to. It’s everyone for themselves. I am not sure what’s going to happen in the future, the industry is changing every second, and the tracks that I played on the weekend are old by Monday, but so many albums are coming out now, I think something very big will happen soon. Lewiscaroll: What do you think about this new electro-rock scene like Crookers, Justice… Can we see the sons of the « electroclash » Gigolo sound? DJ Hell: As a DJ I don’t really play this kind of music, but we released Boys Noize and also Justice in the past, I think this sound really fit in to where the label was at that time. 2nis: What do you think about the technologic improvements like mp3, and new means of mixing and producing? Are you a user? DJ Hell: It’s been very hard for anyone to make substantial money from selling their music for awhile now. Records that used to sell 5,000 copies now sell 500. Artists have to compensate for this by touring, and most do this so successfully that it’s not really a problem to not sell music like they used to. As far as MP3s and digital music in DJing, I have respect for anyone pushing the limits of their work, and I wouldn’t say that CDs or digital DJing are right or wrong. I’d say it has more to do with the fact that anyone thinks they can be a DJ these days, and they don’t put the same enthusiasm or years and years of practice into it like we did back in the days. We were driven by the music, and the parties were exciting and it was like a family, and we were happy to buy the music. Now everyone is driven by the hype, and anyone with a small record collection thinks he can play at Watergate whenever he wants, but this isn’t how it should be. DJing is about making special experiences happen in the club. It’s about working the crowd and the mixer and knowing the music and loving it. In the studio I work with a lot of producers, and they all use different equipment, I work with different people depending on the sound I am trying to achieve. Sultan : Which advices would you give to the young DJ/Producers? DJ Hell: I would say that the artists with the greatest longevity are the ones that find a sound and work on it, and stay true to that style. These guys don’t follow trends, they create art, and it has their stamp on it. Find your sound, own it, and stay true to it.